How and why do we commemorate important events in our history? What roles do special objects and places play in conveying stories from the past? Extend your students' understanding through the exploration of Anzac Day symbols, emblems and traditions, their significance and origins. The following lesson plan is designed for primary and middle school students using resources from Britannica School and other online sources. Contact your library staff to find out if your institution already has access to Britannica School or claim your own free trial. ACHASSK012 How they, their family and friends commemorate past events that are important to them. Making a calendar of commemorative events that students, their family and friends celebrate (for example, birthdays, religious festivals such as Easter, Ramadan, Buddha’s Birthday, Feast of Passover; family reunions and community commemorations such as NAIDOC week and Anzac Day) and discussing why they are important. ACHASSK064 Days and weeks celebrated or commemorated in Australia (including Australia Day, Anzac Day, and National Sorry Day) and the importance of symbols and emblems. Identifying and discussing the historical origins of an important Australian celebration or commemoration. ACHASSI057 Interpret data and information displayed in different formats, to identify and describe distributions and simple patterns. Finding the meaning of acronyms/initialisms they encounter (for example, NAIDOC, ANZAC, NZ, USA, ACT). HT2-1 Identifies celebrations and commemorations of significance in Australia and the world. History/Level 3 and 4/Historical Knowledge/Community, Remembrance and Celebrations. VCHHK076 Significance of days and weeks celebrated or commemorated in Australia and the importance of symbols and emblems, including Australia Day, Anzac Day, Harmony Week, National Reconciliation Week, NAIDOC Week and National Sorry Day. Identifying and discussing the historical origins of an significant Australian celebration or commemoration. Demonstrate the curriculum vision of being actively involved, lifelong learners. Explore the values of community and respect. Achieve learning outcomes described in the social sciences and other learning areas. • Various work samples based on tasks completed e.g. constructed memorial. • Observation of students as they research and work through the task elements. Anzac Day is a special day that is celebrated in Australia and New Zealand every year on 25 April. It began as a way to remember the contribution of the Australian and New Zealand Army Corps (ANZAC) during the Dardanelles Campaign of World War I. To this day, customs and symbols traditionally associated with ANZAC continue to play an important role in the commemorative activities. The following resources and activity sets can be distributed as guided study resources or used to frame further group discussions. Supporting media can be displayed on an interactive whiteboard or projector to encourage collaboration in a classroom environment. Read the Britannica article Anzac Day and watch the ABC video The Meaning of Anzac Day. Brainstorm a list of words often associated with Anzac Day. • What do the letters ANZAC stand for? • When does Anzac Day occur? • How do Australians and New Zealanders commemorate Anzac Day? 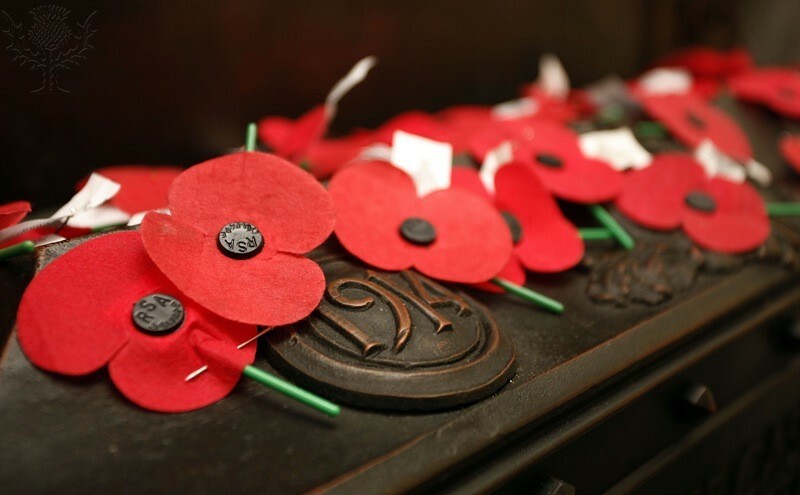 • Why is Anzac Day significant for Australians? • What reputation did Anzac troops have? Discuss as a class the ways in which we remember special things that have happened to us. Are there special places that help us do this? The term "memorial" refers to a place specially built for remembrance. Identify some local memorials in your community. Examine the following images and identify shared elements of a memorial. Use Google Street View – Australian War Memorial to explore the features of a memorial. Consider symbolic acts or ceremonies that could take place at a memorial. Some examples include the laying of a wreath, lighting of a candle, playing of music such as The Last Post, reading of significant poems and excerpts such as The Ode, or the wearing of rosemary. Based on the information you have collected, design and construct a memorial to commemorate a significant or meaningful event in your life. Examine the following images and clips depicting symbols and traditions associated with Anzac Day. What is the significance behind each symbol or tradition? • Where and how did it originate? • What is its meaning? • Why is it important today? Calling all educators! Help us improve the resources that we share by telling us how you go with this activity. Not ready to try this out in class yet? We have more coming! Subscribe to our monthly newsletter for more Britannica activities and resources.